2. 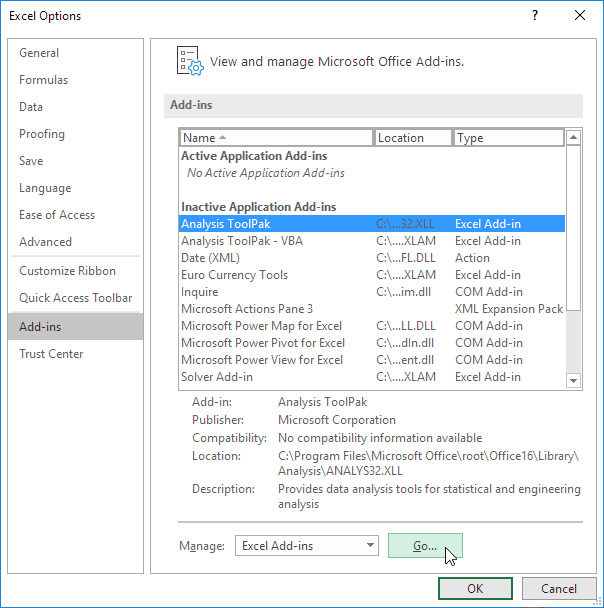 Under Add-ins, select Analysis ToolPak and click on the Go button. 3. 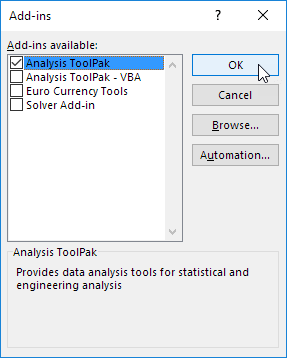 Check Analysis ToolPak and click on OK.
4. On the Data tab, in the Analysis group, you can now click on Data Analysis. 5. 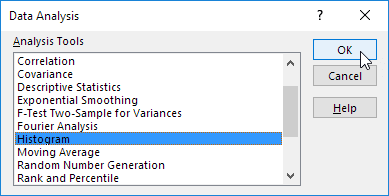 For example, select Histogram and click OK to create a Histogram in Excel.